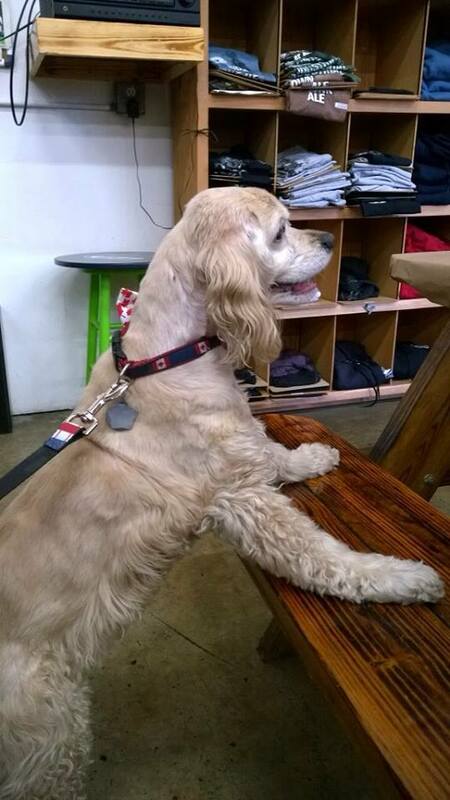 I’m always on the lookout for a great place to eat with my humans. So many places don’t want me (how dare they) and so it often becomes a scavenger hunt to find a place that will allow me to hang with my family while they eat. The first thing to look for when deciding if your fur-kiddo can join you is if the restaurant has outdoor seating or not. The Seattle area is a pretty dog loving area and so I am finding for the most part if there is a patio you can bring your pooch. But don’t assume. My mom once went to take me to a place that said it was dog-friendly only to find out they changed their policy because a waiter had been recently bitten by a dog. Which brings us to if your dog is not friendly, then don’t bring them to be around people in a setting like a restaurant until they are friendly. I’m friendly so I get to go. One of my favorite places to walk is the Centennial Trail. It goes on for miles and miles (29 to be exact) but I only usually go about 3 miles on it. I have short legs. 🙂 It’s a great trail, but you do have to share it with bike riders, horses, humans, and other dogs. Since we were in the area my mom and dad wanted to go to a place they knew would take me, King Charley’s Drive-In. Why do we know they will take me? Because all of their seating is outdoors (that and my humans had taken their previous dog there with them before). There are bright purple picnic tables and a nice lawn area for me to sniff around at after we eat. King Charley’s is a bright yellow and purple little shack off of highway 9 located in Snohomish, WA. I’m not sure how long it’s been there, but you hear people say things like I went to this place as a kid and now I bring my kids, my guess is a long time. They basically make burgers and shakes. They have corndogs which I overheard was good, but mom got a Bacon Cheeseburger with BBQ sauce added and a Blackberry Shake. Dad got two Deluxe Burgers and a soda. I heard mom say that they have a good solid burger and that the shakes are delish. 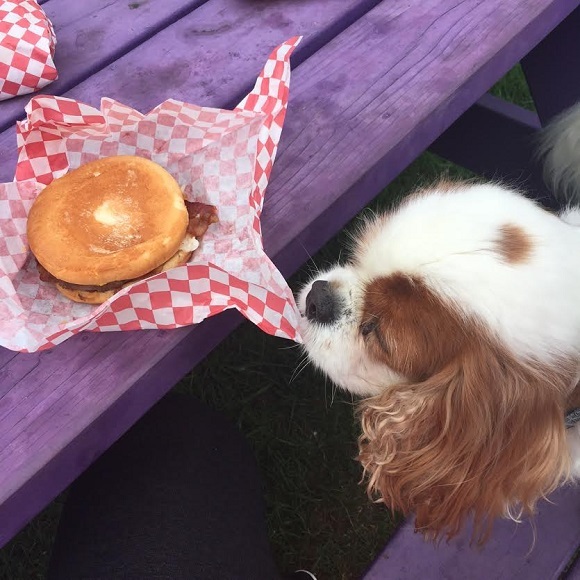 I got to have a tiny piece of the burger so I agree that the burger was good. So good I tried to pull it closer to me as you can see in the picture. I also then decided I wanted to hop up on the table though after mom stopped laughing and taking pictures of me doing that, she put me back down on the bench. 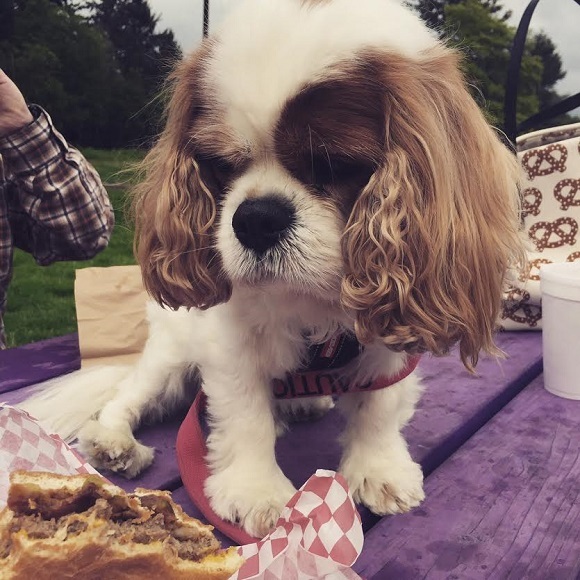 So if you are in the mood for a good walk and some good eats, I suggest you take your humans to King Charley’s Drive-In after a walk on the Centennial Trail. Dogs are a commitment. I have always wanted a Corgi…BUT I am well aware of the breeds needs and know that I cannot provide that for them how they fully need it. I do not want or need a high energy dog. I get very sad when people take on high energy dogs and don’t exercise them, only to get mad that the dog got bored and destroyed things. That is not the dog’s fault that is the owners fault. It’s even worse when you have a breed that is high energy and intelligent like a Border Collie or a German Shepard…these are animals that need physical and mental exercise DAILY. If you are not willing to do that, do not get a dog. 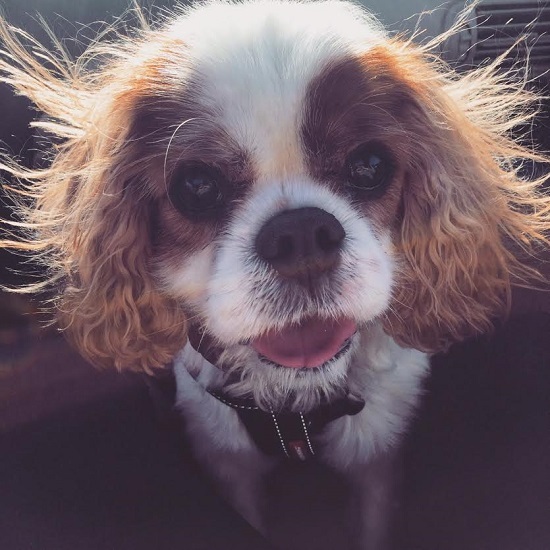 Mickey being a Cavalier King Charles Spaniel does not require a ton of exercise, but he sincerely enjoys walks and so he gets one 6-7 time a week. We walk at least a mile and usually more like 3 to help get his weight down. The only time we don’t walk is if he is having a bad health day due to a Syringomyelia flare up, though even on those days he likes to get out for a short walk. He doesn’t mind when it’s raining and we bought him the cutest little rain coat so we even trek out in the rain. Granted we try and find the driest time or if there is a thunderstorm that’s different, but we try every day to do it. Do I want to take him for a walk most days? No. I’ve already usually been to the gym and had a workout but again, as a responsible dog owner I do it. If you own a dog you should too. A side benefit is that my husband comes with me and so we get an hour to ourselves each day to just talk (with no electronics to distract) and relax while getting a little extra exercise. Dogs also benefit from training and not just the sit and lay down kind. We play a hand target game with Mickey every day for just a few minutes, but he enjoys it. If you have a breed that is highly intelligent you will need to take training classes with them as well as find time each day to reinforce what they learned at those classes. So many times people take an 8-week class and figure their dog is good to go. Remember all the chemistry you took in high school? Spanish class? How much of that do you remember? If you don’t practice it every day it’s probably long gone from your head…same goes for your dog and his training. So when you come home and your dog has dragged the trash out everywhere, eaten your couch, eaten your headphones, etc… do not call your dog a bad dog. Go find a mirror and say, bad owner. He/She wasn’t bad they were bored. You would be too. Sadly the other reason that owners give up their dogs is because of age. As dogs age often their vet bills increase and people don’t want to pay the cost to keep the dog healthy. Often people bring in a dog to be put down because the dog is starting to have accidents in the house. Vets, of course, do not put down dogs for this so then the owner usually just dumps them at the shelter. More often than not the dog has a medical condition causing the accidents and can be fixed. Dogs can get UTI’s and things like that just like humans. Please understand that a dog is a LIFETIME commitment, not an until it’s not convenient for me commitment. Do you know about the breed you are getting? What is the breed personality and needs and does that honestly work for the lifestyle you live? Can you take care of this animal for 15-18 years of your life? Are you getting this animal because you want kids but aren’t having them just yet? This is a big one as many pets are surrendered because people have kids and decide they don’t have time for the dog anymore. If you don’t have young kids anymore, but you have older kids who might have grandkids soon (that will be coming around a lot) you may want to ask are you getting a breed that is good for being around little kids? Can you afford the pet? Not just the cost to buy or adopt the pet but to feed them high-quality food, routine, and emergency vet visits, and any medication or supplements they need. Now not all cost are foreseeable. My cocker spaniel went to the vet 14 years of her life for teeth cleaning and shots, that was it. I used to think how lucky. Then her last year she developed allergies…really bad ones, MRSA (yep, MRSA), and finally cancer. I never in my life imagined spending how much I spent on her in the last year of her life (well into the 5 digit mark). Sadly we have quite a bit of debt from that but we don’t regret a single penny spent. Not all dogs, of course, are going to cost that. Some go their whole lives without needing many veterinary visits. It’s best just to be prepared, which is why more and more people are getting pet health insurance. Will you be able to spend quality time together? Of course people work but if you are only going to spend 30 minutes a day with the dog you might want to rethink. Is your place suitable for a dog? 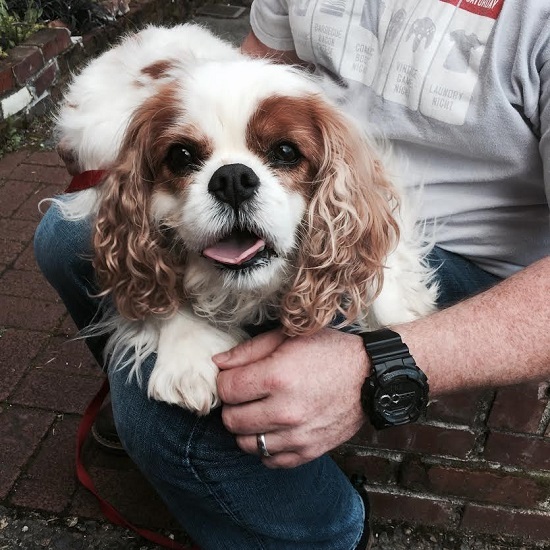 If you live in an apartment then something like a Cavalier King Charles Spaniel is good as where say a Bullmastiff might not be the way to go. Are ALL the people in the household on board with you having a dog? This is one that often gets looked over. Since all members of your family will end up having to help with the dog at some point you want to make sure that having the dog works for everyone. If it doesn’t then it will cause issues, trust me. So I don’t get a puppy because I know I will eventually end up with someone else’s puppy. Just some food for thought before you run out and get a dog. I don’t want to discourage you as having a dog as a family member is one of the great things in life but want you to take an honest look at your life before you do. If you like to drink good beer and take your dog along I highly recommend the Diamond Knot Tap Room in Mukilteo, WA. This is not to be confused with their restaurant that they have down by the Mukilteo Lighthouse. We first learned about the Tap Room while living a little less than a mile from it. It’s hard to miss at first as it’s in a row of warehouses a little off the beaten path, but once you find it you never forget. 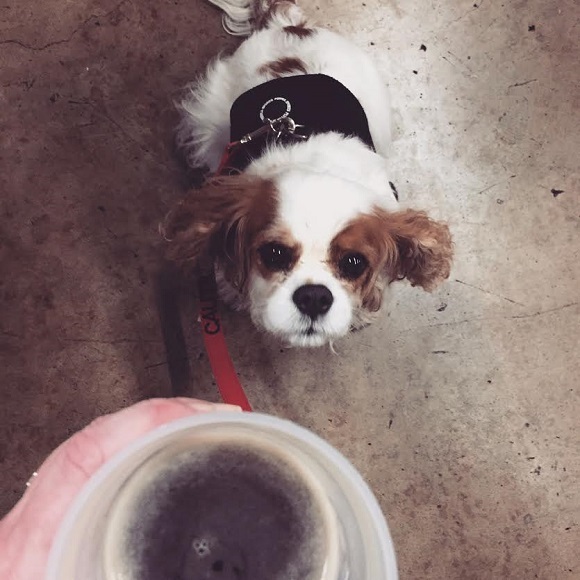 We had been drinking down at the Diamond Knot for years but when we learned that the tap room allowed dogs (and kids for that matter) we were all over it. It’s only open Friday and Saturdays 3-8pm. Fridays are usually super packed with the after work crowd showing up so we tend to go on Saturdays when there are fewer people. The only offer two things beer and root beer (they make their own). There is no food so I usually pack a few snacks in my tote bag if I know we are going to be there awhile. Let’s just get this first post out of the way! You will want to read my ABOUT page so that you know why I even have a blog, other than the obvious reason that I’m cute.